It wasn’t too long ago when the Milan Ultras took to the San Siro Stadium to express their disapproving thoughts on Sinisa Mihajlovic, but three games later he has swiftly silenced his critics. Evidently, the fans were angry. The club had gone on a three-match winless run, which included a shocking 4-0 home defeat to Napoli, and there were fears that things were going to get worse, and fast. Week nine meant that the Rossoneri were set to face their boogey team, Sassuolo, in a match which was tipped to spell the end of the Serbian coach should things not go their way. Milan had only previously defeated the Neroverdi once in six league games, and the build-up to the game unsurprisingly contained a negative air of criticism angled at the San Siro outfit. Things needed to change and fast... From the first minute Mihajlovic made a statement by introducing the 16-year-old Gianluigi Donnarumma in the line-up ahead of Diego Lopez, while Alessio Cerci was handed his first start of the season too. The debuting shot-stopper was the youngest player to turn out for Milan after Paolo Maldini’s introduction to the squad back in January 1985, and he didn’t disappoint. While he may have been caught wrong-footed in Domenico Berardi’s equalizer in the eighth minute of the second half, he has proven solid. A first half goal from Carlos Bacca and a last minute header by Luis Adriano ensured the points went to the Rossoneri. Since that crucial victory, which likely extended Mihajlovic’s stay on the Milan bench, the Diavoli have gone on to claim triumphs over Chievo and, most recently, Lazio at the Stadio Olimpico. Conceding just two goals in their last three games, the backline seems to have found a bit more stability as opposed to the team that let in four goals in their opening three fixtures of the season. Donnarumma looks settled in front of the changing backline, and so far he hasn’t been prone to any gaffes – unlike Diego Lopez, who let in questionable goals when he first started at the club. Giacomo Bonaventura was one of the few positives last season, playing his heart out in every game he turned out in. However, his passion and determination wasn’t always enough, as he was easily taken off the ball, his passing wasn’t always decisive and he lacked composure when taking shots. Conversely, under the 51-year-old mentor, “Jack” has become more effective and decisive in his play. Mihajlovic has tightened up the former Atlanta man’s passing and he has also turned him into a set-piece specialist, which saw Philippe Mexes nod home Milan’s second goal past Lazio on Sunday night. 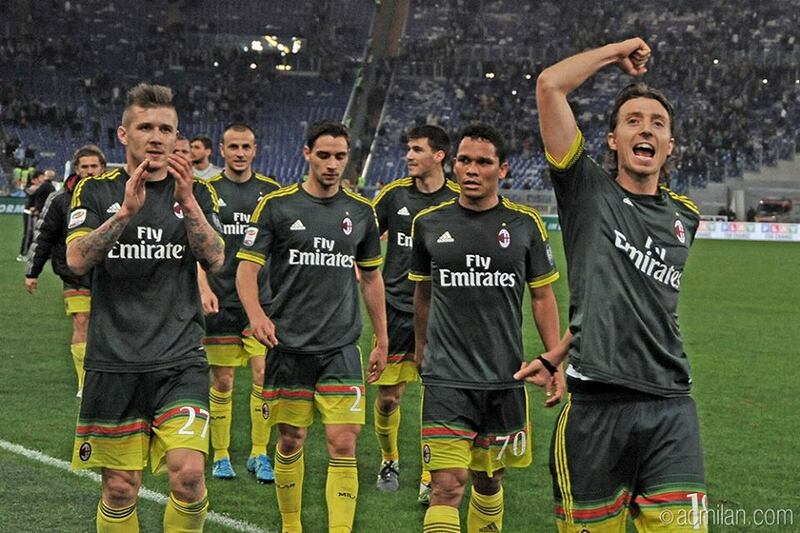 What has long plagued Milan is the team’s attitude. Under Carlo Ancelotti, the club was ferocious and would fight to the end of every game regardless if they were winning or losing. Since his exit, there have been few signs of a strong mentality and that was often the case last season under Pippo Inzaghi. This year, though, the headstrong Serbian tactician has tried to improve the thought-process of the team, and they certainly seemed to struggle less when a goal is conceded. Inzaghi’s biggest failure last year was that he did not know his preferred starting XI. Having fielded over 30 different line-ups in the season, the club and players struggled to form an identity. This year there seems to be more consistency in the team selection and the change of formation to a 4-3-3, has undoubtedly been instrumental in the results. Sunday night’s triumph over Stefano Pioli’s men was the first time Milan had won three consecutive games since Clarence Seedorf’s brief stint on the bench in 2014, indicating that progress has been made. Speaking after the Lazio victory, Mihajlovic told the media: “We won deservedly, I can only say I am happy. If we hadn’t made the step up in quality before, it was purely our fault, but today we showed progress. It’s still early days in the season, but after moving to their highest league position - 6th place and five points off leaders Fiorentina - in two years, the club and the fans finally have something to smile about.